JANICE ENLOE, was raised in Illinois and comes from a family who dedicated her to ministry at an early. Music was always a part of her life and she was tutored to use music as a tool of her communication for the Gospel. Janice is the daughter of Rev. Elbert and Loris Poe Bucher of Springfield, Missouri. Rev. & Mrs. Bucher pastored for 50 years and, both have passed away. They were proud of both their children who are in the full time ministry. Jan's brother, Gary Bucher, is an evangelist and a veteran who wins thousands of fellow veterans to Jesus. 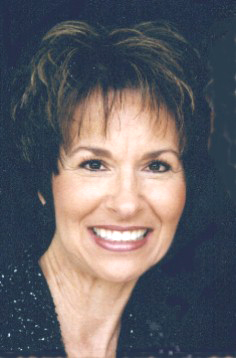 Jan attended Central Bible College in Missouri and was part of a nationally acclaimed, award winning trio. Jan's unique combination of music and audience participation make her a favorite everywhere she and Phil travel. Jan and Phil have four married daughters, Shonie, Stephanie (married to Chris Filla and live in Texas), and twins, Tuesdee and Wensdee. Wensdee passed away on June 28, 2010. We miss her so much, but one day we will see her again. We know she is with the Lord. She was a very sweet daughter and we will always love her. 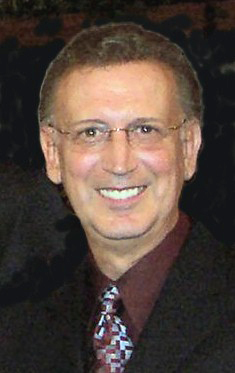 PHIL ENLOE, singer, preacher, author, and evangelist began his career in 1963 after receiving a musical scholarship to a State University. After two and one half years of singing during high school in a part-time quartet, The Royal Sons, managed by Dr. John Paul Moody, Phil studied at Southern Illinois University and Akron University in Ohio. The first seven years of Phil's musical career was spent as a member of several top named gospel groups, such as; The RON BLACKWOOD SINGERS, The JR. BLACKWOOD BROTHERS, a brief time with The IMPERIALS and a total of 23 years with The COURIERS of Harrisburg, Pennsylvania. In 1970 Phil began concerts as a soloist and earned a well recognized name throughout the church world. Today Phil and Jan sing many styles of songs, enjoyed by all ages and musical tastes. As a speaker, Phil is humorous, personable, understandable and anointed. He is constantly in a minister mode, whether one-on-one or before an audience. Jan and Phil have ministered in all fifty of the United States and in 40 nations around the world. Their television ministry includes appearances on the PTL Network, CBN's "700 Club", TBN's "Praise The Lord", Canada's "100 Huntley Street" and more. Phil is an accomplished soloist with 17 solo albums and 55 published songs to his credit. His book entitled, "DON'T QUIT NOW!" which has sold over 30,000 copies. Together Jan and Phil know how to minister to people of all ages and backgrounds. they often perform concerts at Retirement Resorts where they have opportunity to meet and minister to people from all walks of life. They know how to plant the seed of the Gospel in the hearts of every individual while making the event a fun filled and inspirational happening. Individually Jan and Phil have the ability to captivate and motivate their audiences, but together they are an unbeatable team! JAN and PHIL ENLOE enjoy singing the gospel of Jesus Christ. They are NOT an ACT or a SHOW, but a musical experience that will enrich your heart and stir your soul. Jan and Phil are available for Concerts, Evangelistic Services, Camps, Seminars, Revivals, State and County Fairs, or Other Functions where they can sing and tell about their love of the Lord. Their message is inter-denominational in content. For churches or organizations who have doctrinal concerns; Jan and Phil DO NOT promote, nor pose a threat to, any particular doctrinal position. They understand there are different Schools-Of-Thought on many Biblical subjects and they do not take issue with these established positions. Follow their "Schedule" or contact us via E-Mail for your comments or questions. Also, order Phil's inspiring book: "DON'T QUIT, NOW!" and get new insight into his life's struggles, how great challenges molded his ministry and experience some ministry episodes in their lives. At one time or another everyone will entertain the thought of quitting. The consideration to give up is our greatest foe and is often the only barrier that stands between success and failure. Surrendering to frustration can rob a person of his or her unlimited potential and cause self inflicted defeat. This book will encourage you to fulfill God's perfect will for your life. So, whatever you do, "DON'T QUIT, NOW!"